Preparing for a home inspection is as important as preparing for a showing. Make sure your home is in “Show Shape.” First impressions are very important even to a home inspector. When a home inspector sees a home that is well cared for and maintained, they are less concerned of issues arising. If there are issues, we recommend disclosing them upfront, as home inspectors are more like private detectives. If there is an issue, they will find clues that take them to the problem. Disclosure is always the best advice. A home inspection is a time when the purchasers are able to relax and feel at home, as if it was their own home. It is important that the purchasers are allowed to experience this feeling on their own, while accompanied by their real estate agent and the home inspector. Note to sellers: avoid being home for the inspection. You will do more damage to the transaction than you think. The real estate agent is insured and will be there to deal with any issues that may appear. A normal home inspection will take between 2 to 3.5 hours. During the home inspection, the purchaser will learn a lot of details about the house, how to maintain it in the years ahead and how to operate many of its equipment and hardware. It is a knowledgeable and value added experience to the purchase of a home. Make sure the house is Q-Tip clean. Replace furnace filter and leave out most recent maintenance records if available. Clean exterior of furnace and hot water tank. Ensure that they are easily accessible. Leave the inspector a note to indicate the location of the water shutoffs, electrical panel and attic hatch. Ensure that they are easily accessible. Replace smoke detectors if the casings have discoloured to yellow or if older than 10 years. Ensure the bathroom baths and showers are free of mildew and mould. Depersonalize baths and showers of soaps, shampoos and personal hygiene items. Avoid air fresheners. Instead air out the house ahead of time and leave bathroom window ajar. Remove any leaves or debris in exterior window wells. Ensure that eavestrough down spouts are extended. Leave all records available for recent home improvements and maintenance upkeep for inspector to review. Well & Septic – Leave all related paper work available. Indicate location of well cap and septic cleanout Lids. 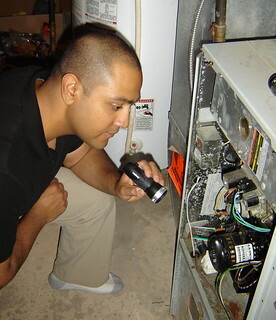 There is no pass or fail to a home inspection. Every purchaser has a different tolerance level. Most purchasers prefer a “Wish List” not a “To-Do List.” Preparing ahead of time can ensure that your transaction goes smoothly. Written by Greg Hamre of the Hamre Real Estate Team at RE/MAX Affiliates in Ottawa, ON.